It's that time of year when I start to get requests for End of the School Year teacher gift ideas! Do I have a treat for you! 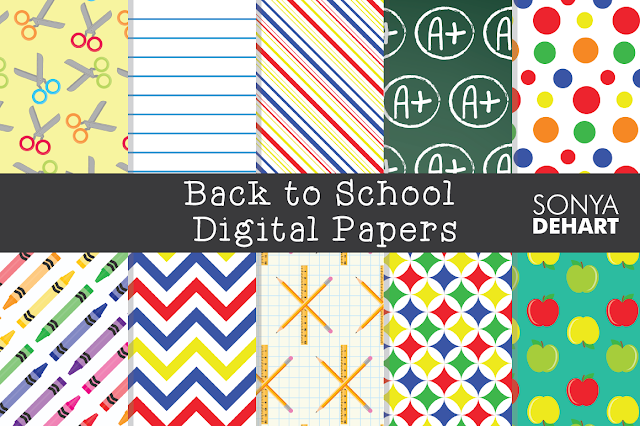 I just ran across the mother lode of school cut files in the new bundle from The Hungry Jpeg. 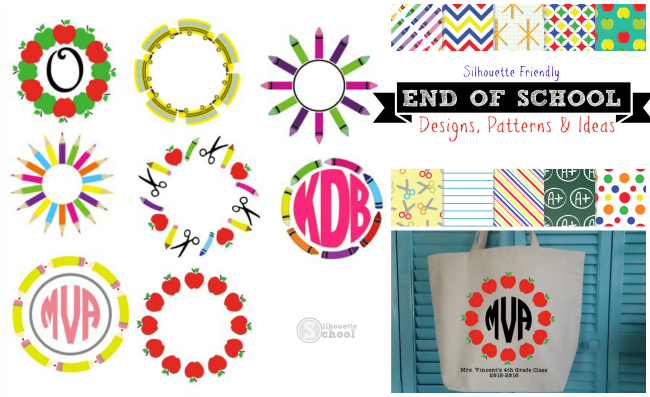 There are nine school-inspired monogram frames and a bunch of school patterns included in the $12 Lets Craft bundle and there are countless ways to use them! Here's a look at some of the monograms frames...everything from pencils to crayons to apples to school buses. I mean you could use this set to make gifts for teachers, school bus drivers and even an end of the year shirt for your child! And of course don't forget you can sell items with these designs on them since they all come with the commercial licenses! You could craft anything from print and cut custom stationary to htv on shirts or bags (some designs would be easier to cut than others while others are better suited for print and cut) to creating vinyl decals for a tumbler. The great part is you can add any style monogram you want to the center or put some other end of the school year saying in there! Here's a mockup I created in Studio while I was playing around with the apple design (I love making mockups before I fully commit to a design). How cute would this bag be to have all the kids sign it with fabric markers?! By the way...the font on the bag is TotTypewriter which is also included in the Lets Craft bundle. 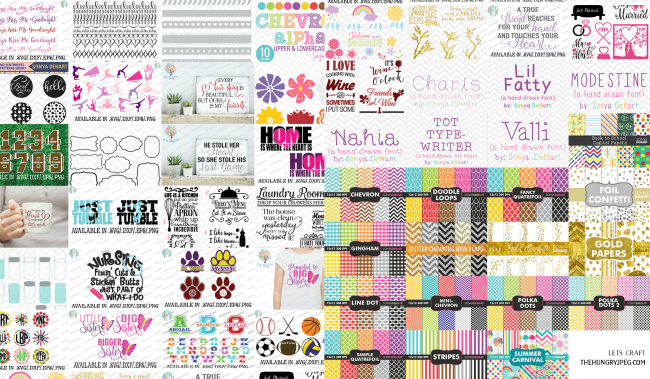 In addition to the school monogram designs, the Lets Craft Bundle also includes a bunch of digital patterns included in the bundle. As long as you have Silhouette Studio Designer Edition you can add the custom patterns to your My Patterns library and use them to fill shapes! Of course there's a lot more to this bundle than just the school stuff...so don't pass on this one if you're not in End of the School Year mode. Here's a glimpse of what else you're getting in the $12 bundle from The Hungry Jpeg. If you're interested, hurry! As always this one will only stick around until mid May. Nice informative writing on importance of GP education. Good work. Keep it up.